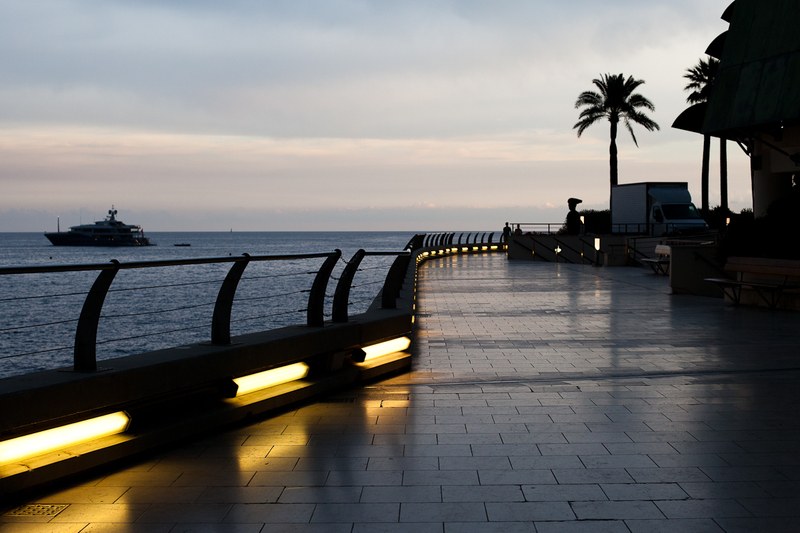 This is the promenade that runs along the back of the Grimaldi Forum - from Larvotto Beach, past the Japanese Gardens to Portier. 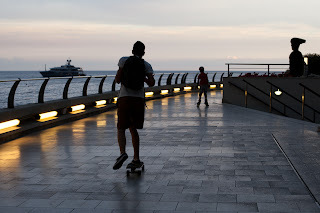 It's almost dark - kids rollerblade or skateboard - dressed up people stroll, ready for a night out in Monaco. Beautiful spot - nice photos! An elegant stroll for a night on the town does not seem compatible with a track for skateboarders, but hopefully the skateboarders keep their distance. Love it. A tight blend of the real and the artificial.